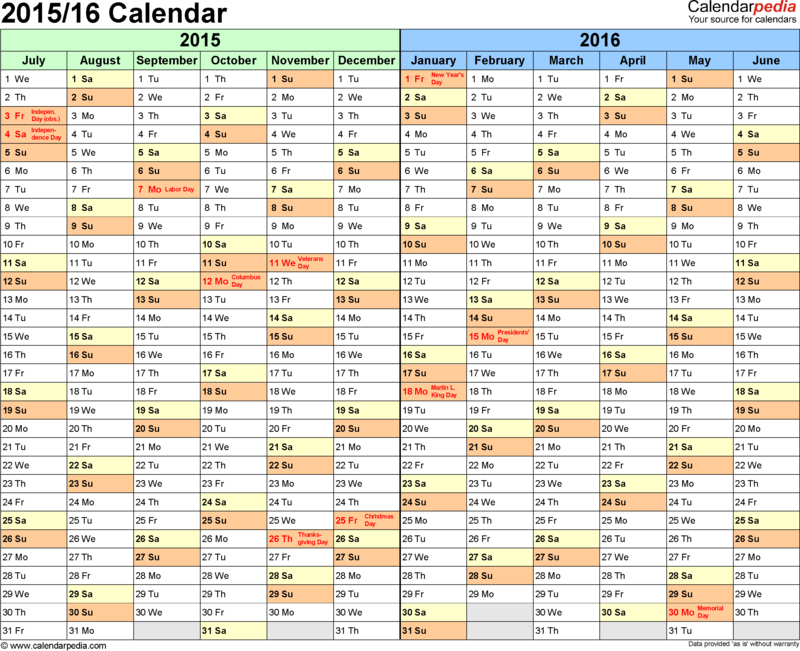 Split year/half year calendars running from July 1, 2015 to June 30, 2016. Version for the United States. Free to download and print. 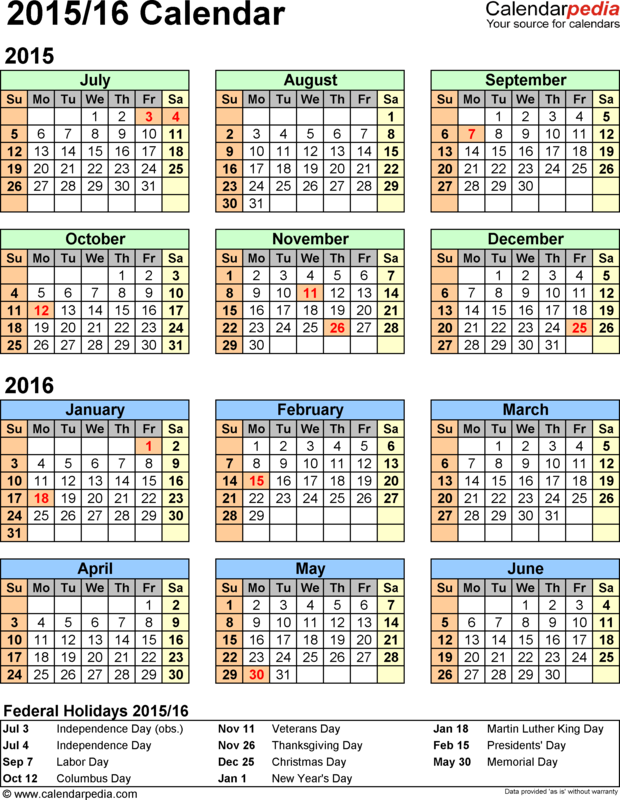 The calendars show the second half of 2015 and the first half of 2016 (mid-year to mid-year) on a single sheet. Available in landscape and portrait orientation, for a summer to summer planner for dates, schedules and events, and for tracking proposals and projects. The calendars are multi-purpose, modifiable, adjustable and customizable, and suitable for a great variety of uses, e.g. as a non-standard full-year planner, school or academic year planner, club, society or hobby season calendar or agenda, vacation, trip and holiday planner, application process and progress tracker, event and special occasion planner, business calendar, year planner, desk calendar or wall planner, for project planning/project management, time tracking and many more. Get organized and plan ahead with these colorful, flexible split-year calendars and planners!